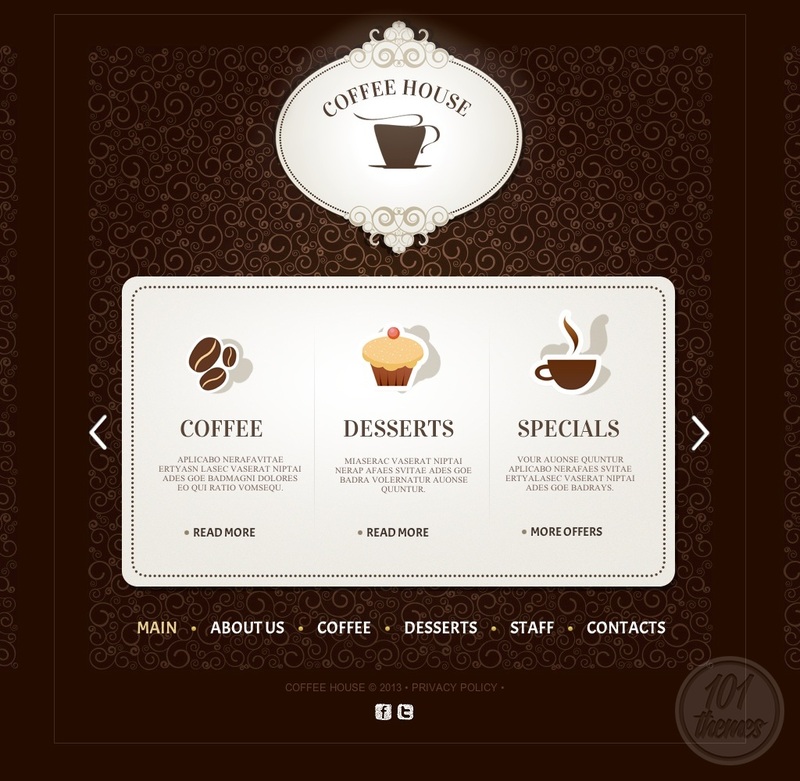 Coffee House is a unique and very attractive responsive HTML template for cafes created by Delta and featured at Template Monster. Each element of this template can be customized and edited so it perfectly fits the design you’ve imagined. 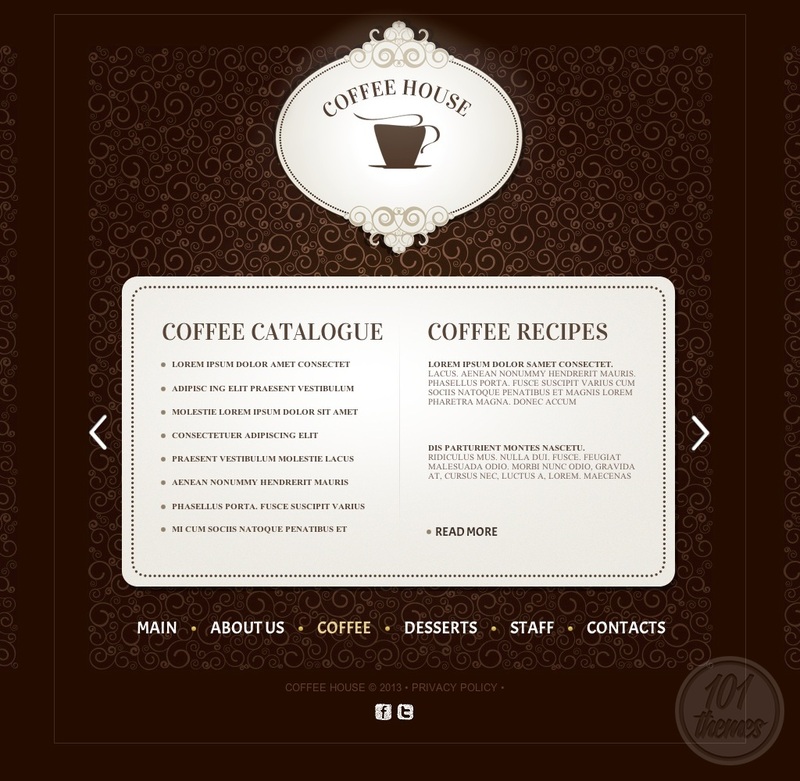 The landing page looks magnificent, with gorgeous vintage patterns, nice details and pretty fonts. Once they click “enter site” your visitors will be instantly see your menu categories, with short description of each category. 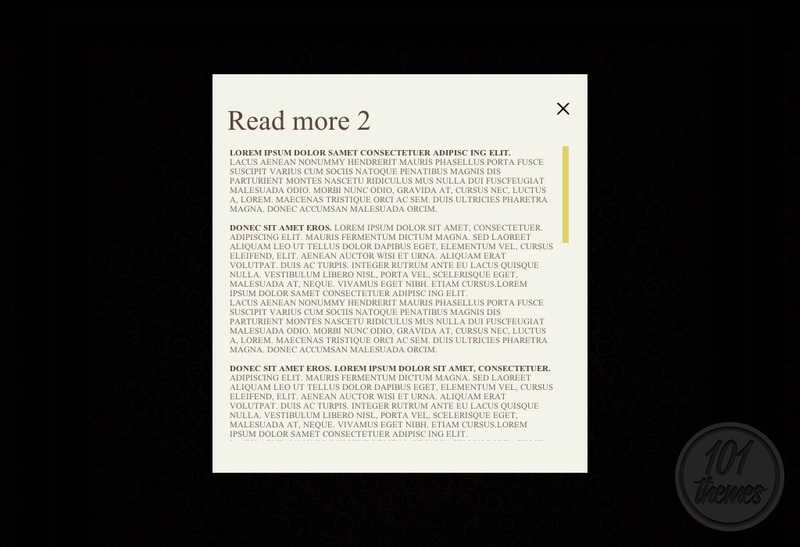 The nice flashy effects make this website look very out of the box and very attractive. 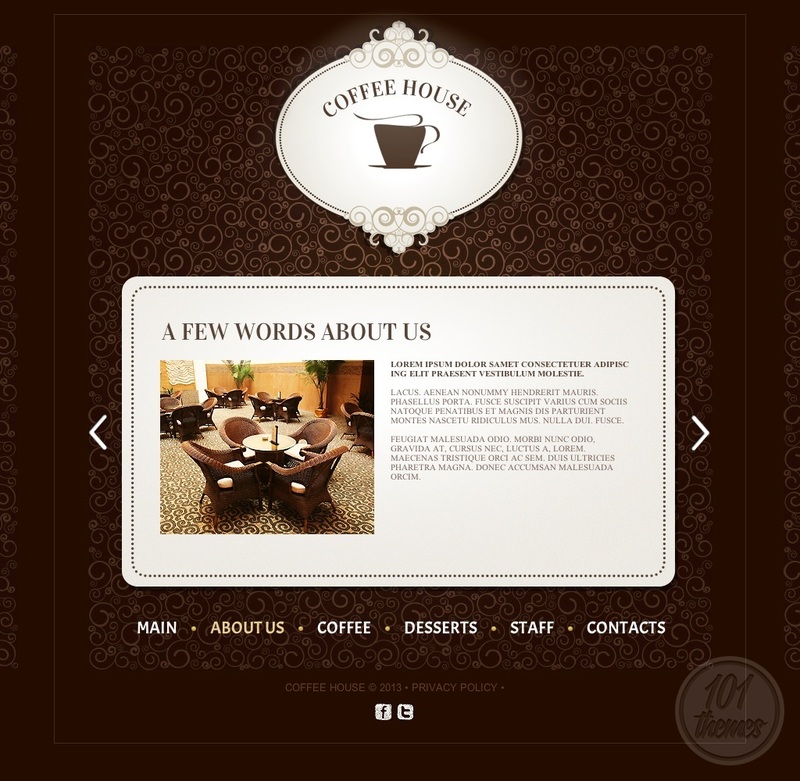 There are several sections included: about us, coffee, desserts, staff and contacts. Each section opens animated, and each of them is beautifully designed. The about us section is where you can introduce your visitors to all of the great services your place offers. 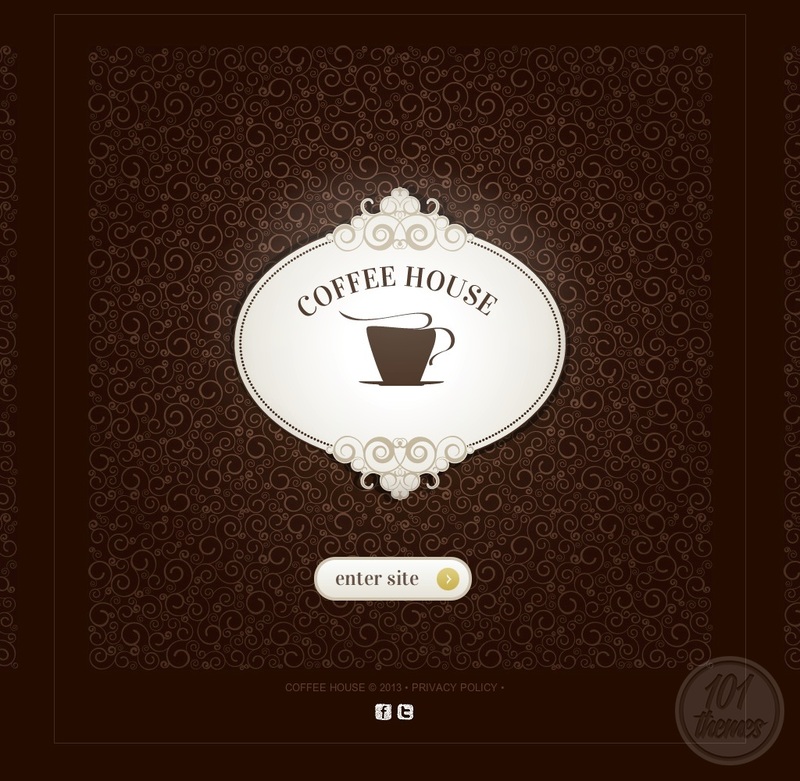 The coffee section will have all of your coffee specialties listed, and by clicking on each of them your visitors will have a page dedicated to that serving where they can read all about it. 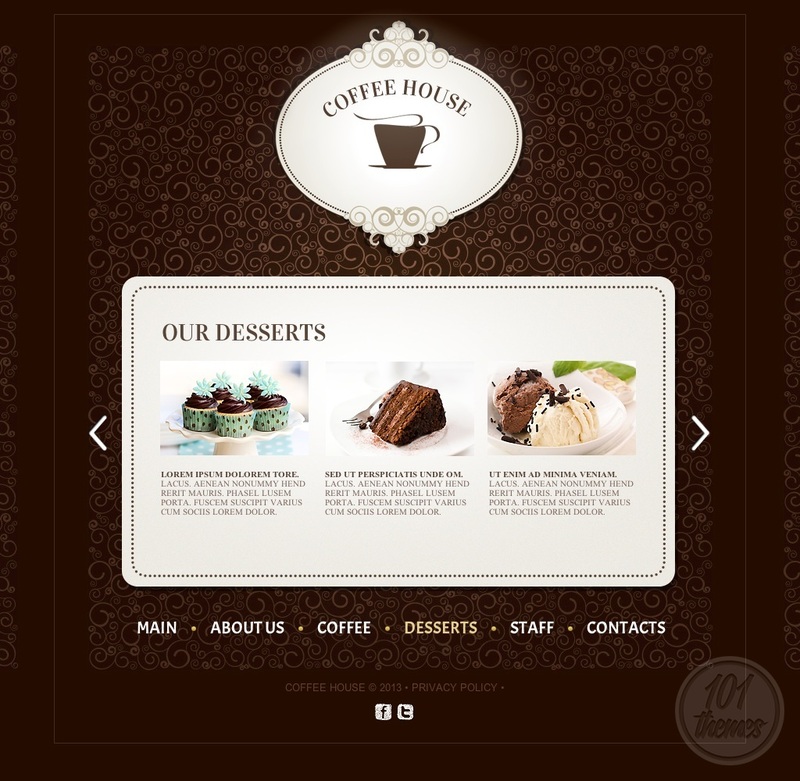 You can even write recipes of your delicacies and have them presented to your readers as well. The “desserts” section is, of course, where you can present all the sweets you offer at your coffee shop, along with photos and descriptions of each one of them. 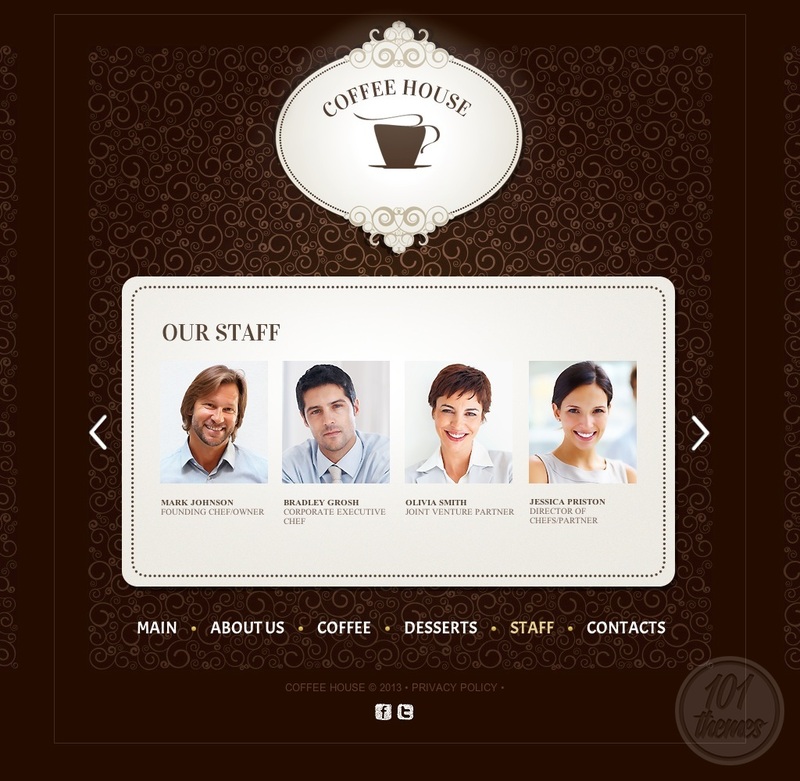 You will be able to present your staff as well in the “staff” section. Introduce all of you guys with photos and short intro for each person, and bring your visitors closer to your place, making them feel cozy and welcome. The contacts section includes Google Maps integration so everyone can easily find your cafe, even people from out of town. You will have a map with your coffee shop marked on it. A nice, simple, working contact form is also included so your visitors can easily message you right there on your website. They will also be able to share your content via Facebook and Twitter. 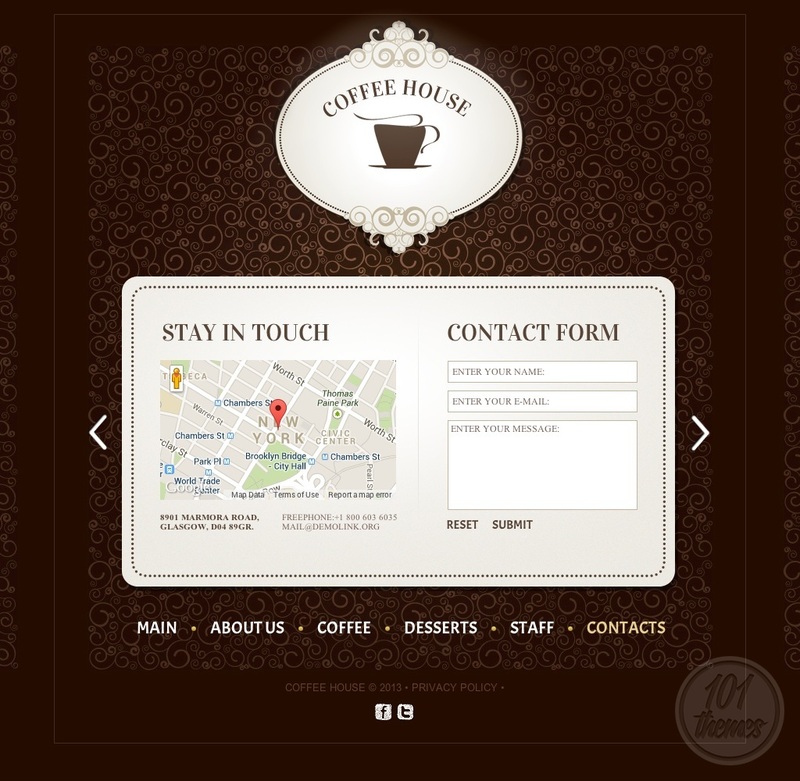 As a responsive HTML coffee shop template, Coffee House makes sure your website looks pixel perfect on all devices.